Woods Hole or Grand Cayman? 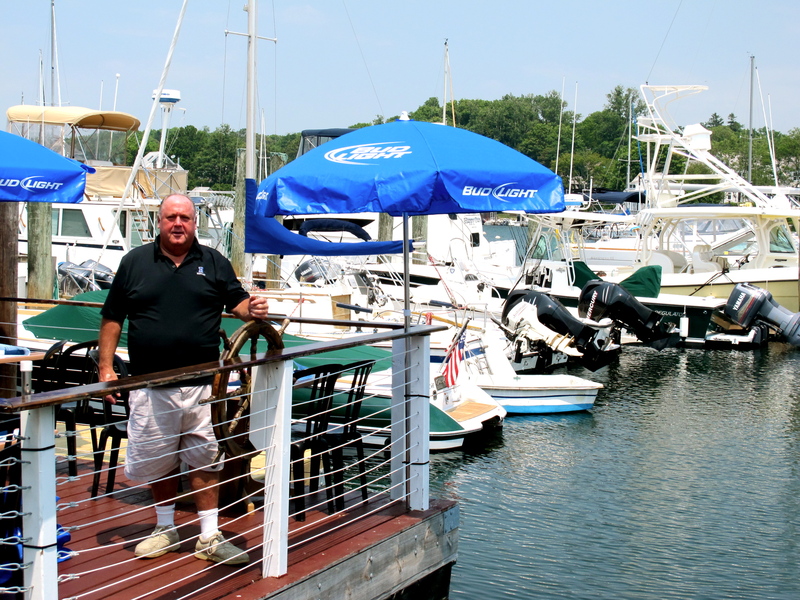 On one of the hottest days of the summer, I sat down to interview Kevin Murphy – the owner of Shuckers. As the southwest breeze off the water flowed through the shady restaurant, pairing with the Caribbean music and brightly colored fresh squeezed cocktails on every table, I felt like I was in the Cayman Islands. Murphy as he captains Shuckers’ floating barge. 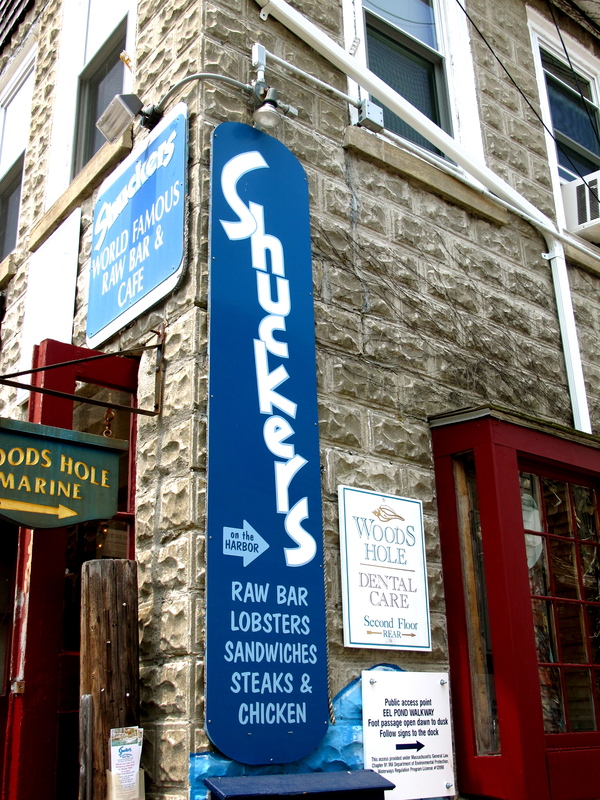 Shuckers, nicknamed “home of affordable water-front dining,” is most famous for their lobster boil. But that is just the beginning of Shuckers’ lobster menu – they serve lobster in nine different ways! The lobster values don’t end there either — Tuesday nights Shuckers has a twin lobster boil and Friday nights a triple lobster boil. Affordable lobster PLUS dock seating? OK, now I’m drooling. In addition, Shuckers has a well-reviewed raw bar, plus soups, sandwiches, and all the seafood you could eat. 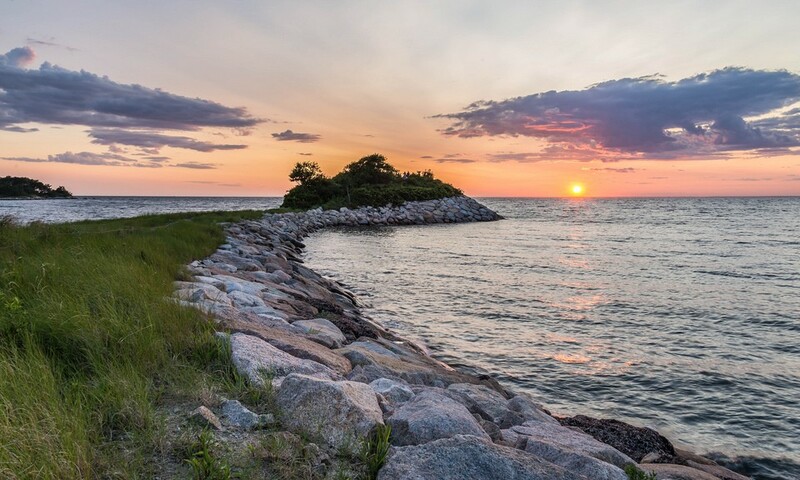 “We serve the freshest catch to the dock,” said Murphy, who purchases Sippewissett and Waquoit oysters, as well as soft and hard shell clams, fish, and shellfish native to Cape Cod. Most of Woods Hole’s restaurants have a great view of the water – Shuckers is the only one with seats on a floating barge, named “the Song of Eel Pond.” This distinctive vessel is usually attached to the dock but is also available for chartering and has been used for small weddings and other special occasions. Local artists are featured every Friday and Saturday at Shuckers and during the rest of the week Shuckers has “a great music assortment made specifically for the restaurant,” says Murphy. So why fly south when you can drive to Woods Hole and enjoy the laid-back Caribbean vibe right here on Cape Cod? 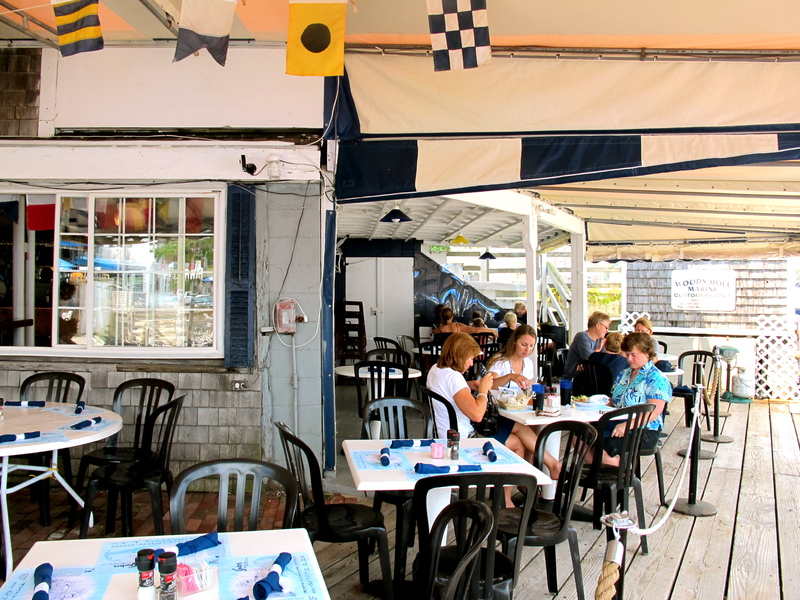 Shuckers is seasonal – open from the week before Memorial Day to Columbus Day weekend. Open weekdays (11am to 11pm) and Fridays and Saturdays (11am to midnight). 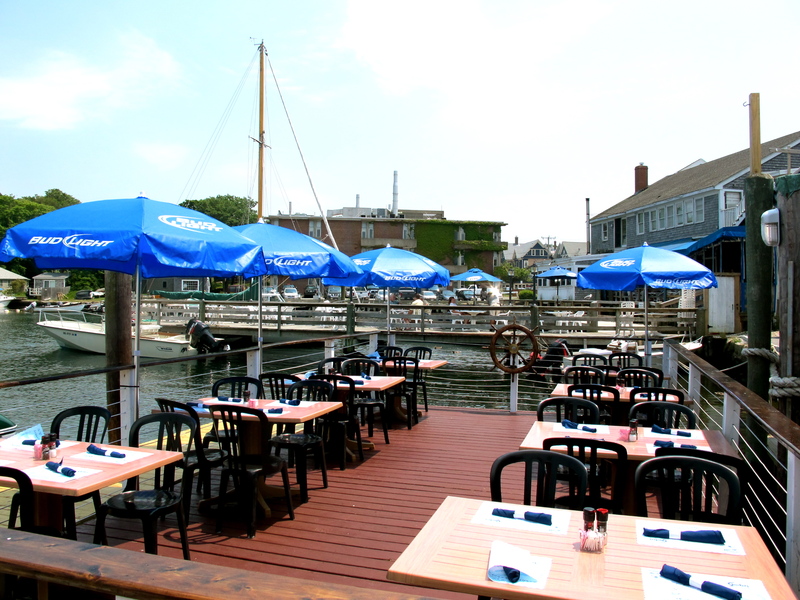 Shuckers’ outdoor dock seating overlooking Eel Pond.